Remove old grout with suitable machine will help you save labor and cost. TKT Cleaning will share with you about one kind of machine could help you remove old grout with less effort, more efficient. Step 1: Scrape out stubborn chunks of grout with oscillating machine. Fit the oscillating tool with a blade specially intended for tile or tile grout. 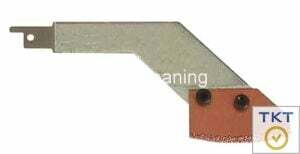 Most tool heads will specify which materials they can be used for (metal, wood, tile, etc.). Start by holding the tool horizontally (or vertically, in the case of vertical seams), turning on the power, and lightly pressing the blade to the grout. Let the power tool do the work; do not force it. The blade should easily chew through the grout. Once you have removed as much grout as possible by holding the tool horizontally, it is time to gently angle the blade to remove more grout. Once again, working slowly and patiently will help ensure that you do not damage the edges of your tile. One trick is to support your arm on a tool box so that it does not get tired during the process. After you have done as much grout removal as possible with the power tool, your next line of attack is the small flat-head screwdriver. Its head will fit into the seam and allow you to scrape out stubborn chunks of grout. Do not try to remove every last bit; that is for the next step. Your intent is to knock out hunks that the oscillating tool may have loosened but not completely removed. If you are still finding bits of grout that will not come out, switch to your dull-bladed utility knife. You want a dull blade for two reasons. First, it makes no sense to kill a nice, sharp blade on tile grout. Use that sharp blade for something else first. Second, you do not want to risk snapping off the sharp point of the utility knife and getting injured. Be sure to liberally use the shop vacuum during the grout removal process so you can see what you are doing. And of course, you will want to use it once again at the end to clean up your work site. 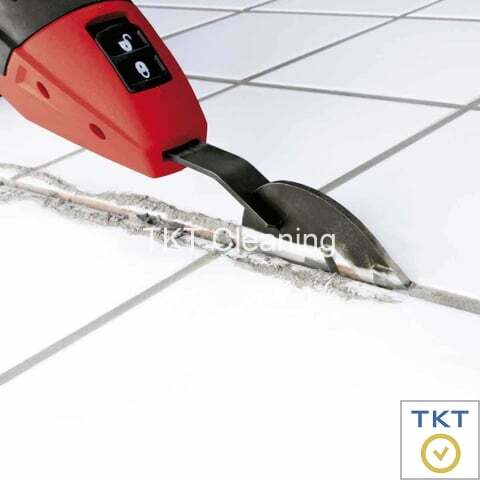 TKT Cleaning would like to share you some knowledge about machine and tool to remove old grout. 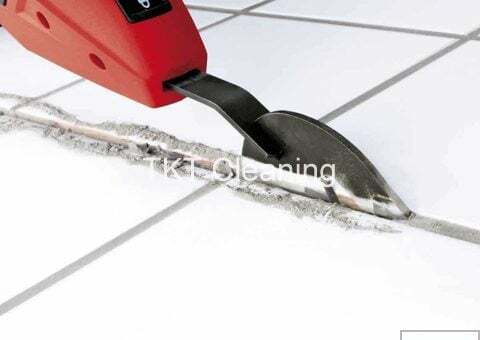 If you are looking for an efficient tool to remove grout without chipping the tiles, the Grout Grabber might be the best way to go. It can also be used when replacing tile grout.